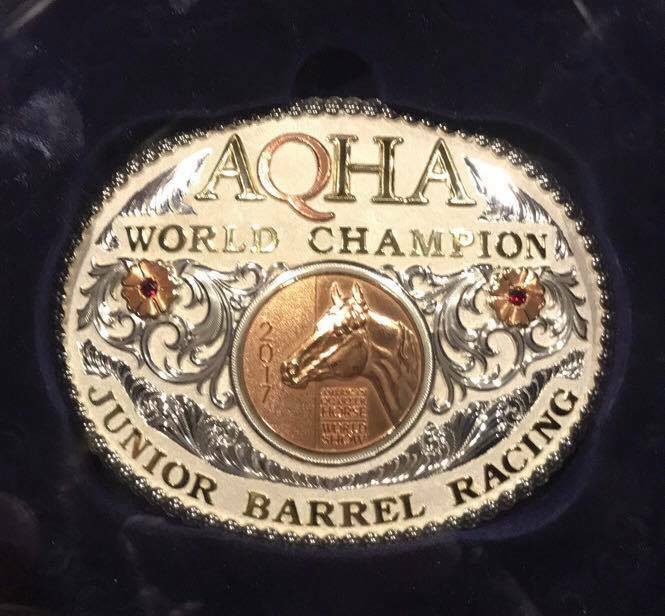 Guys Dashing Jet by #FrenchmansGuy owned by Cathy Geary is the 2017 AQHA Jr. Barrel Racing World Champion!!! Guys Dashing Jet by #FrenchmansGuy owned by Cathy Geary is the 2017 AQHA Jr. Barrel Racing World Champion!!! I'm speechless about this mare! She is nothing short of amazing! She always finds a way to handle herself no matter what kind of situation or ground I put her on. She is a true champion!! This brings her LTE to $130K! And my 2017 total to $234,500+! Thank you to my entire team who helps make all this possible for us! Tyler Rivette, Kelsey Hildebrand, Brenda Brown, Josh Harvey with Outlaw Equine Hospital and Rehab Center, Dale Steege with MVP, Jyme Nichols with Bluebonnet Feeds, Geoffrey Litton/Tonda Collins with Equi-Resp, Tammy White with Best Ever Pads, Jolene Wester Jones with #IconoclastBoots. I couldn't do it without you!!! I feel very blessed to have won this title back to back 2 years in a row!! !